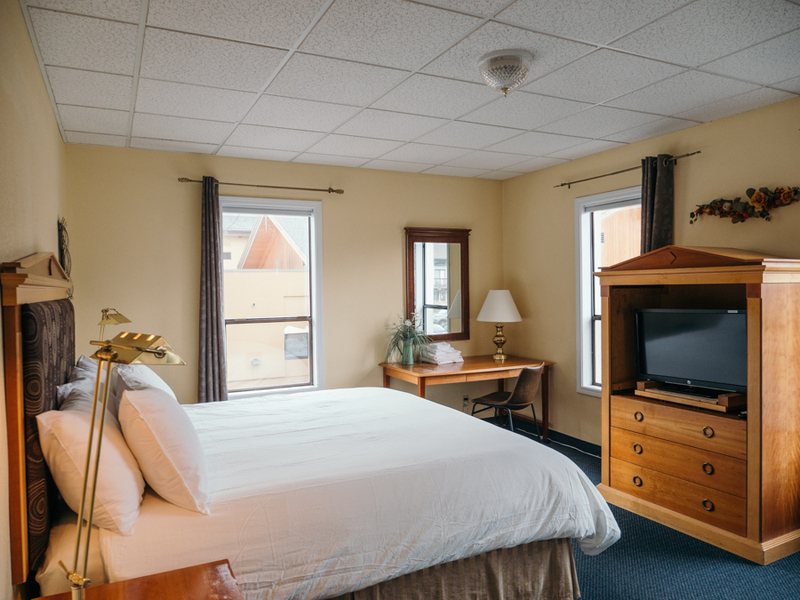 In the center of downtown Leavenworth, WA, the Adventure Inn has a variety of affordable hotel room options. Book directly with us for a great price! Adventure Inn located in the center of downtown! Your gateway to the Riverfront Park. Lodging at the Adventure Inn offers rates that are reasonable compared to local area hotels, motels, condos, suites and inns. We feel our guests get good value. Take a look at our guest suites, and then hopefully reserve your next visit with the Adventure Inn. We are not fancy, but we are comfortable, conveniently located and we will probably save you some money! The Adventure Inn applauds and respects the Bavarian theme, but sees more and more visitors coming for outdoor recreation! Two major alpine ski areas, Stevens Pass and Mission Ridge, are within 35 miles. Cross-country trails start within a ski pole toss from our back door. Mountain bikers have trails all over. Barn Beach is a naturally formed swimming lagoon. Kayakers and rafters can go from Class I to Class IV waters within minutes. Tour the Leavenworth National Fish Hatchery, or cast your luck at steelhead or salmon fishing. Climbing in Icicle Canyon is world class. Natural hazards at the local golf course include distracting riverfront views and meandering deer. Fall colors and Spring flowers. Year round, there is something going on outside. So, come for the festivals and the shopping and the taste of Bavaria. But, bring your bike, your boat, your hiking boots or golf shoes and whatever else you do, don't forget your camera. Wine tasting and german beer galore! Adventure Inn is located in the center of downtown Leavenworth!